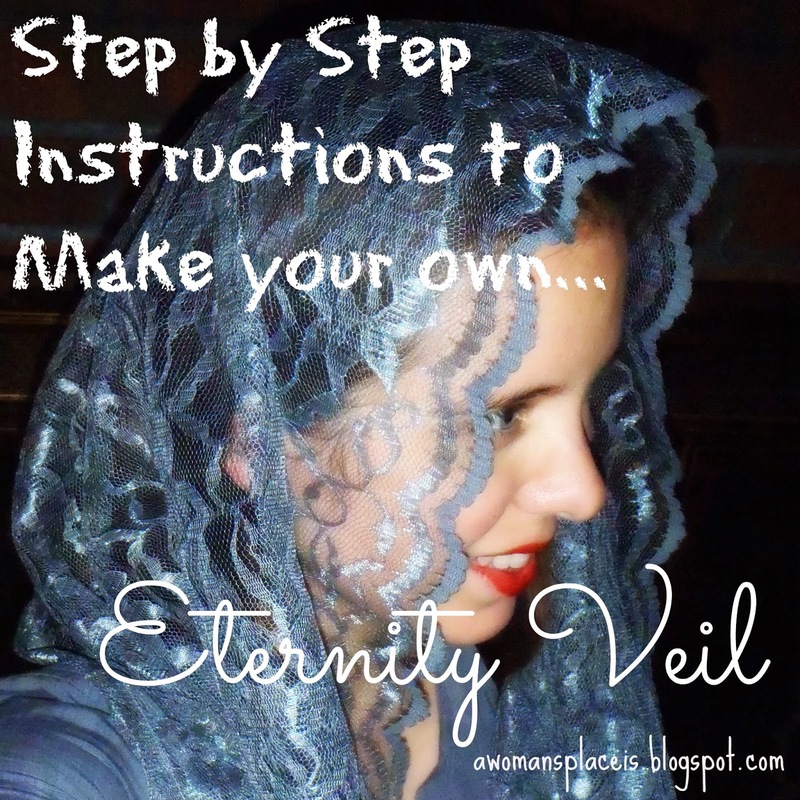 Have you ever thought of trying your hand at making an eternity veil? They're pretty simple to make and you can make them rather quickly for a low price. I can make several eternity veils in the time it takes me to make a single snood. 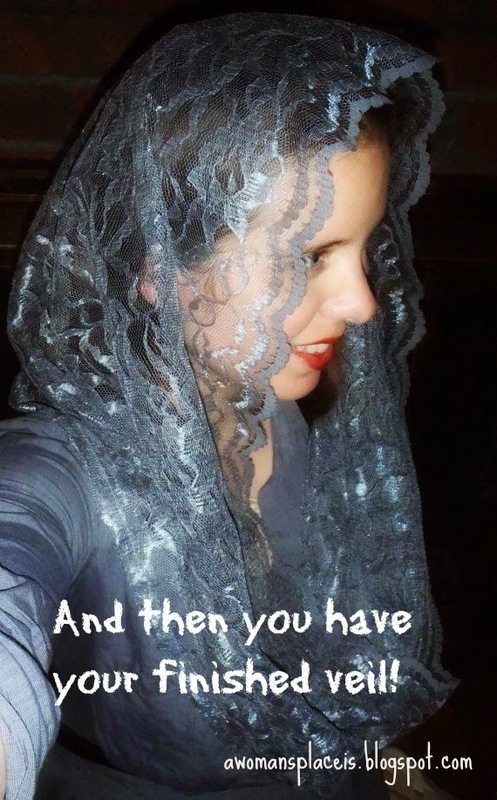 For this veil I used Casa Collection lace from Joann's Fabrics. When Joann's Casa Collection lace is full price it's $7.99. I try not to buy it unless it's either on sale for 50% off (or more) or I have a coupon for at least 50% off (you can sign up for emails or find these in the paper or on their website). 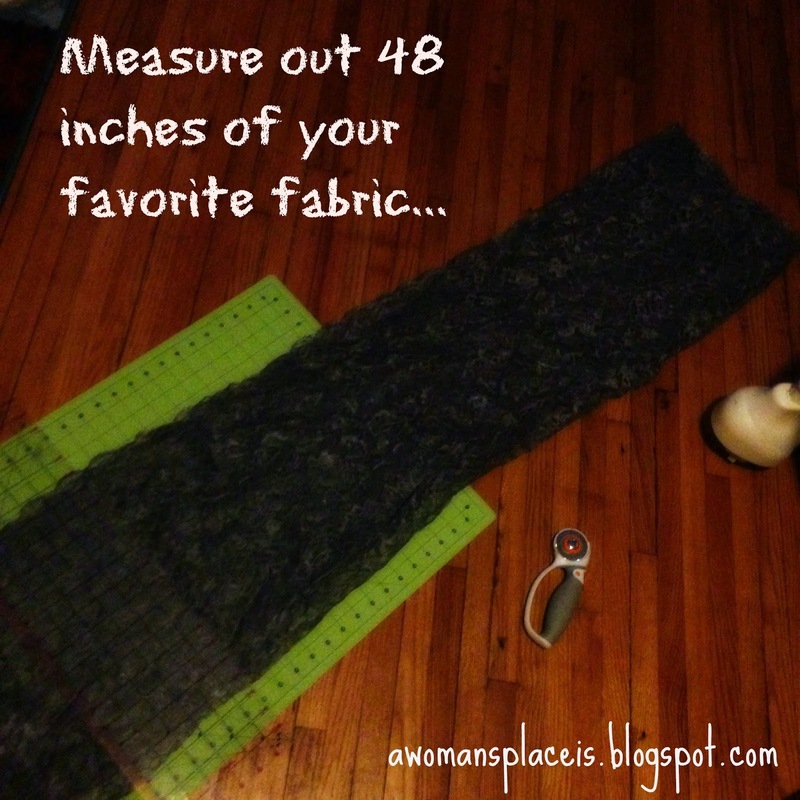 Your coupon means that if you have a 50% off coupon 48 inches of fabric should cost a little over $5 (and because of the width that's enough to make two veils, making each veil $2.50). Here's the pattern that I came up with and used for my Single Loop Eternity Veils (like the one shown above). Next we're going to make the loop for the eternity veil. 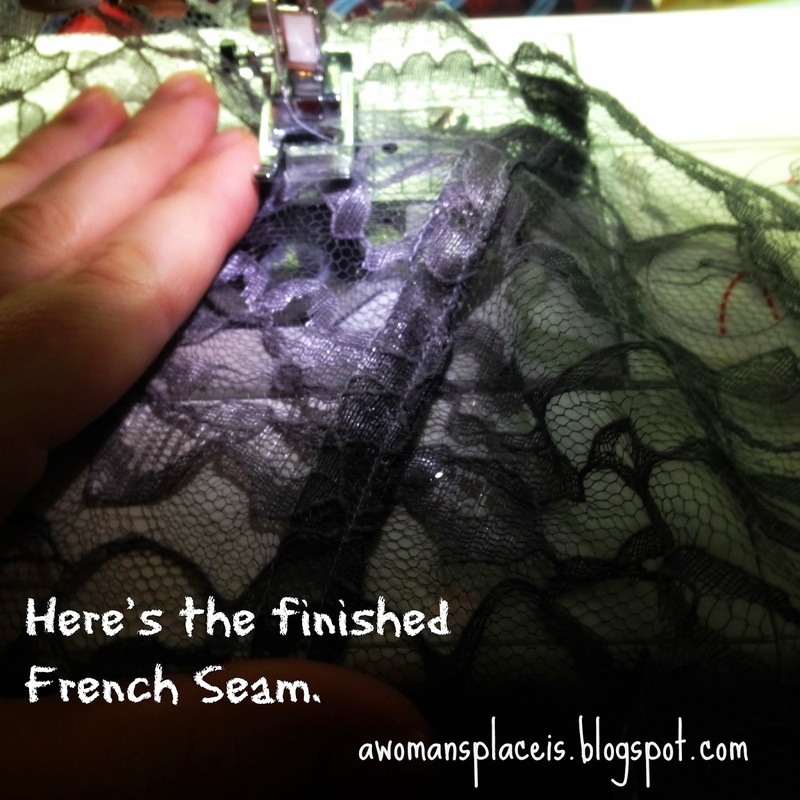 We'll do this with a French Seam. 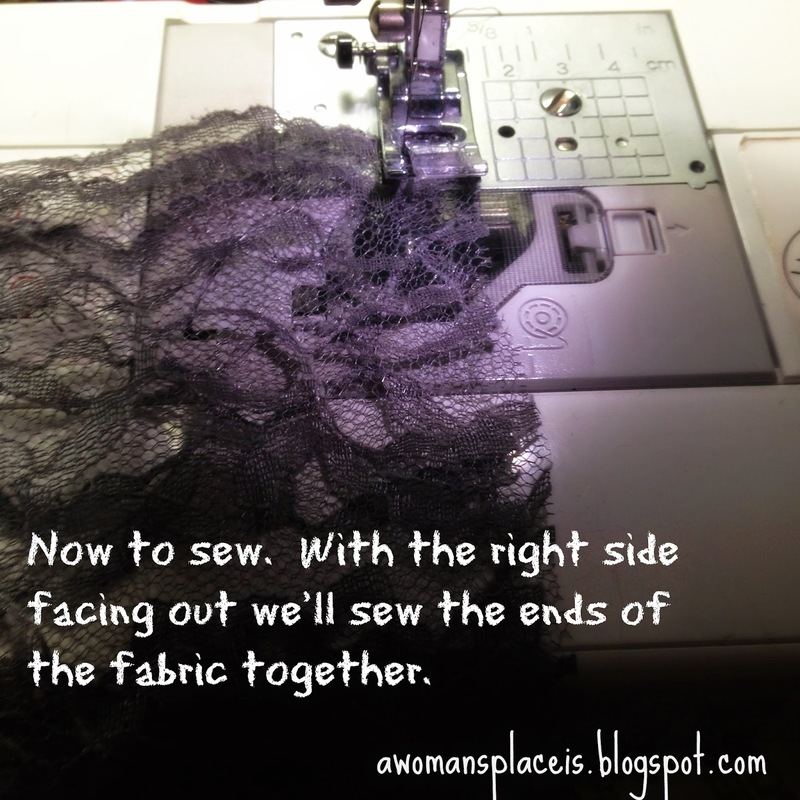 First we fold the fabric in two with the wrong sides on the inside. In other words, if there's a side to the fabric that you want to have on the outside you want it on the outside now. 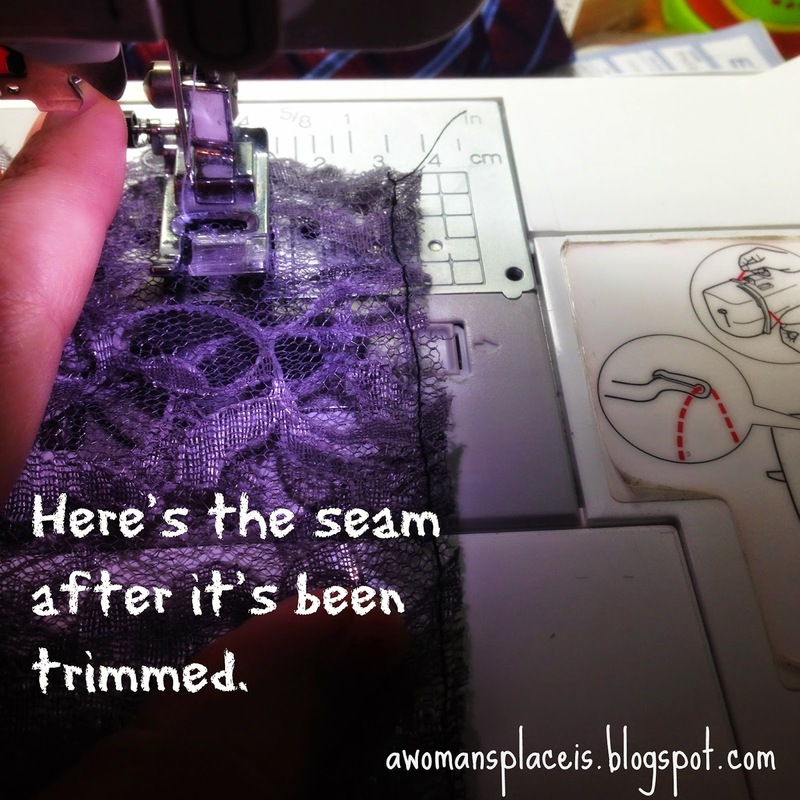 I sew the first seam with the outside edge of the fabric lined up with the inside of my sewing machine foot. 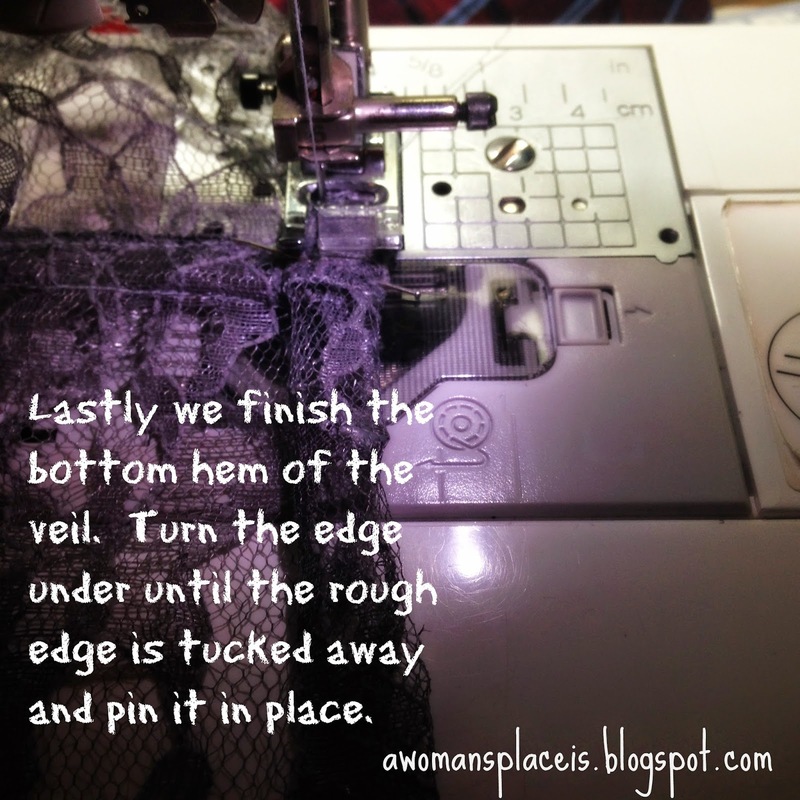 Make sure to start at the edge that will be nearest to your face when you're wearing your veil, because you want to make sure that edge lines up. 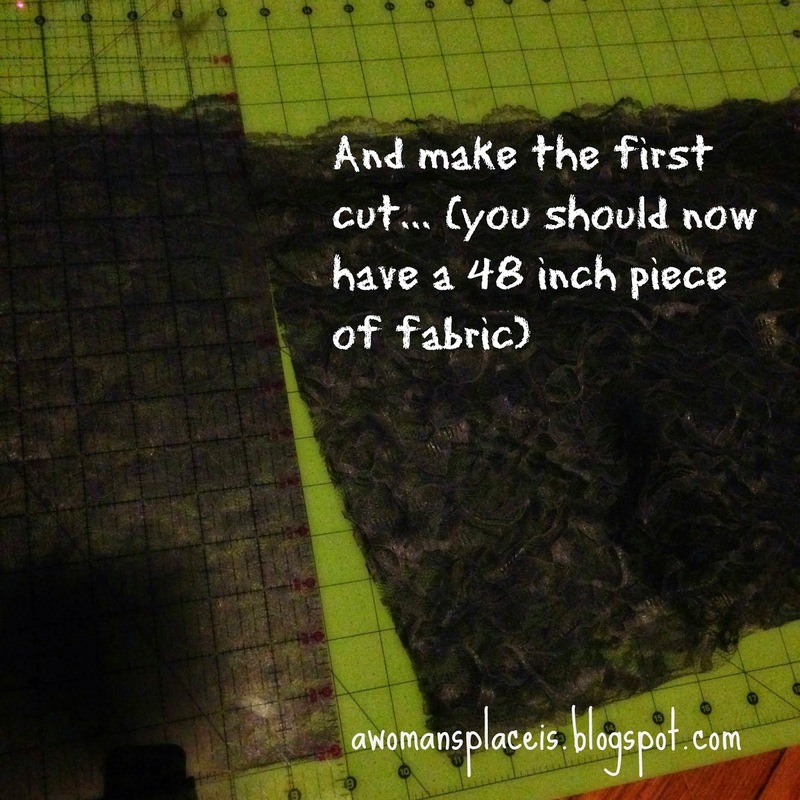 Next I trim the excess fabric, being careful not to clip too close to the seam I just sewed. 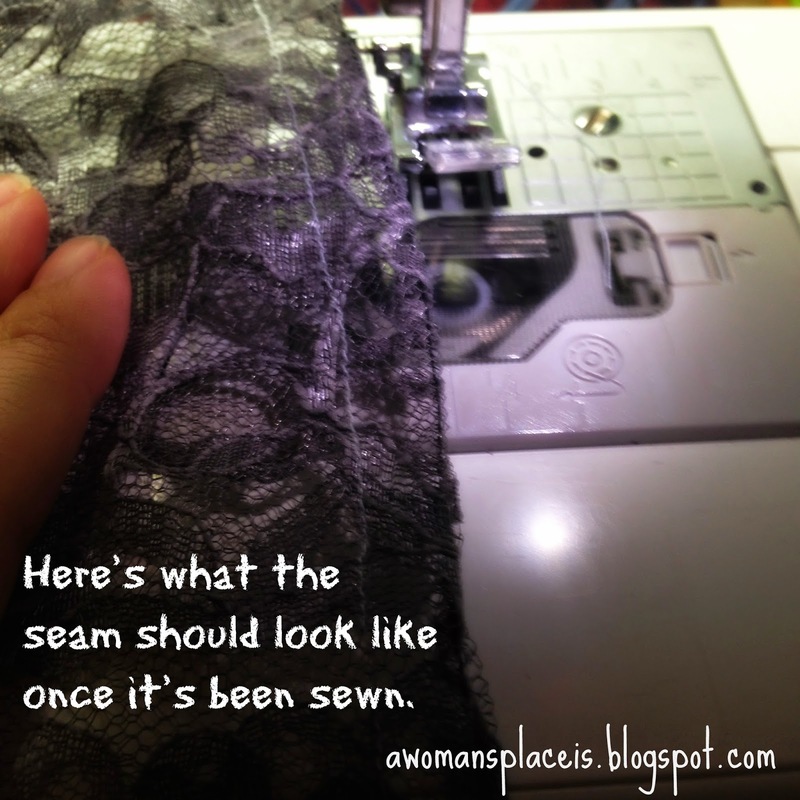 I do this so there's no chance that the rough edge of the fabric will be caught up in the next seam. 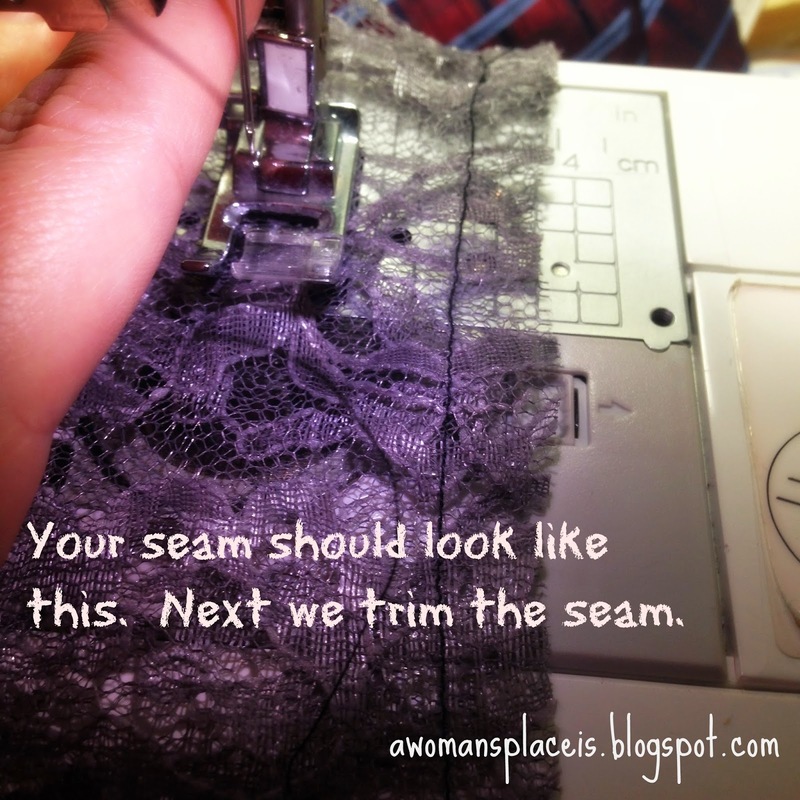 I've had that happen too many times when making French Seams on princess dresses! Now to enclose the rough edge so no one can see it. Press the fabric open and press the flap of fabric that the rough edge is now enclosed in to one side. 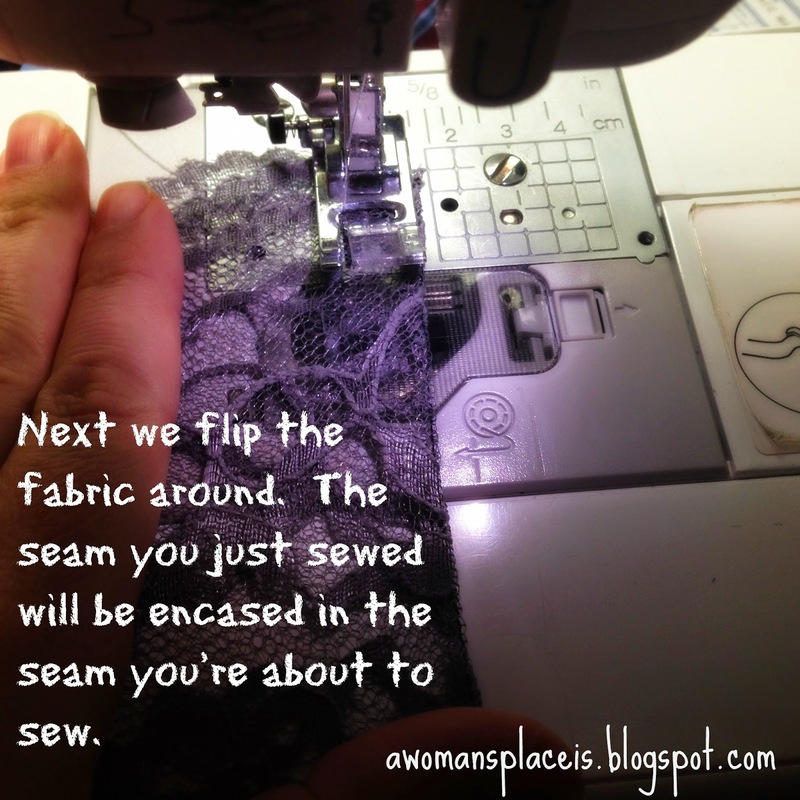 Sew that side down, carefully, along the loose edge of the fabric, being careful to keep the fabric from bunching underneath the flap so that the veil lays flat. Now it's time to hem the bottom of the veil. 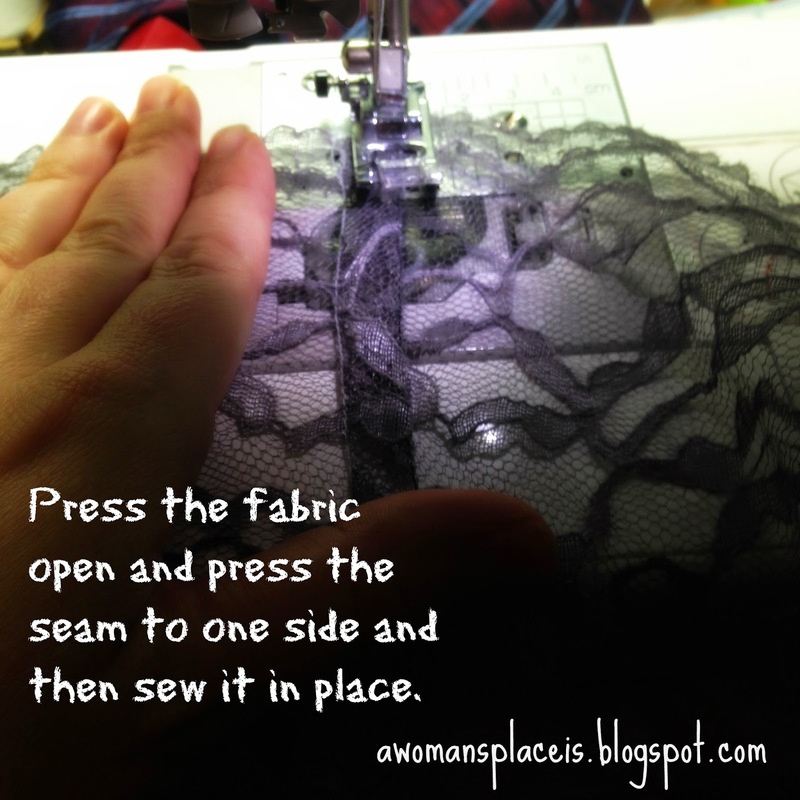 Turn the hem under, press it and pin it in place. 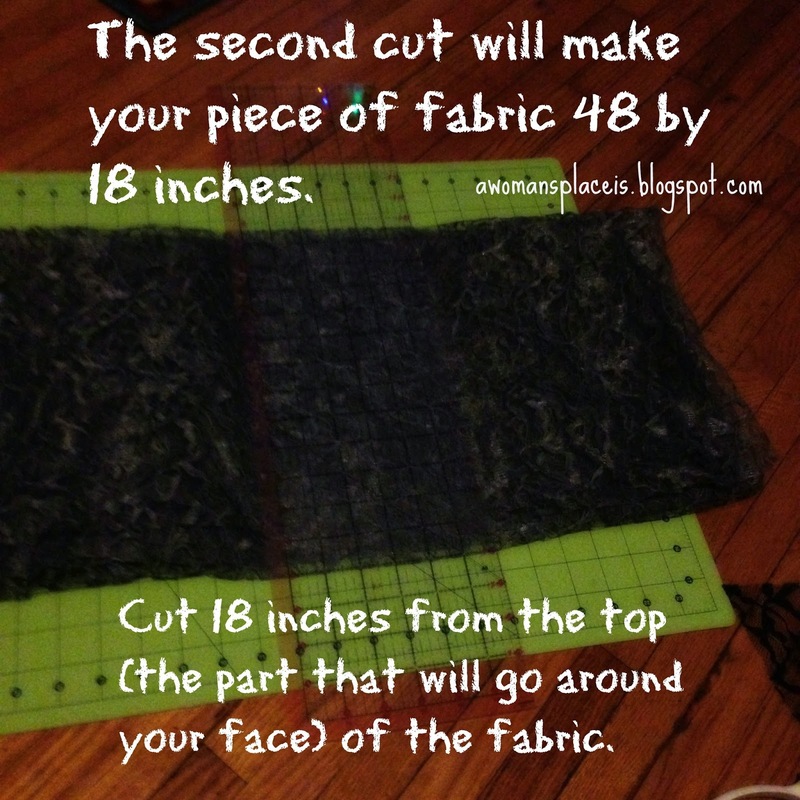 I try to keep the hem as narrow as I can, but if you're looking for a measurement a 1/4 inch hem would work well for this veil and is roughly what I used for this tutorial. Clip any strings that are still attached to your veil and admire your handy work! Congratulations on making your new eternity veil! YAY!!!! Thank you so much for posting this; I can't wait to try it! !